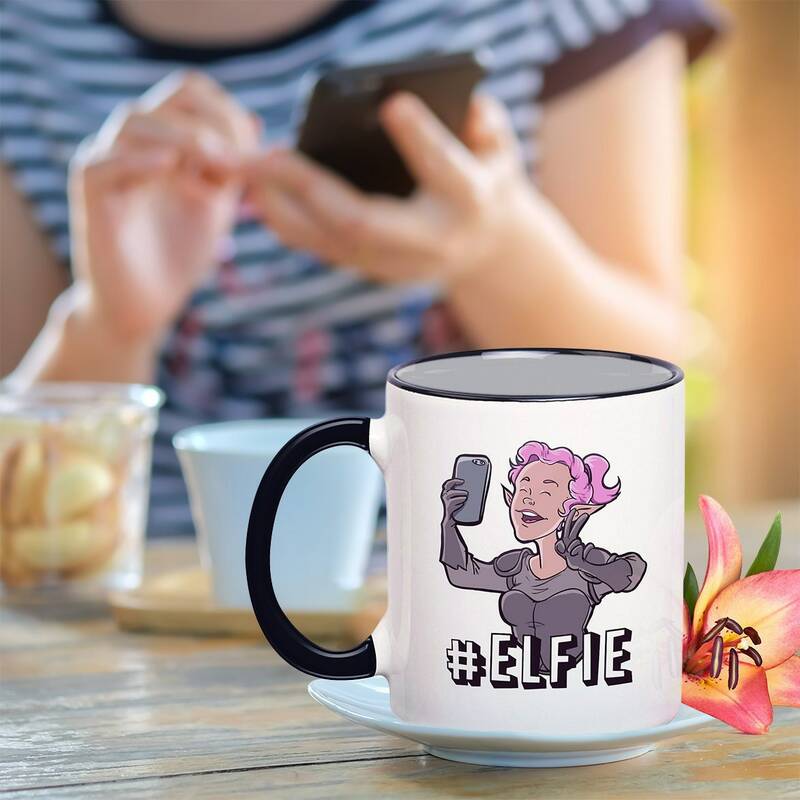 Move out of the way #Selfie, a new trend is coming to town! 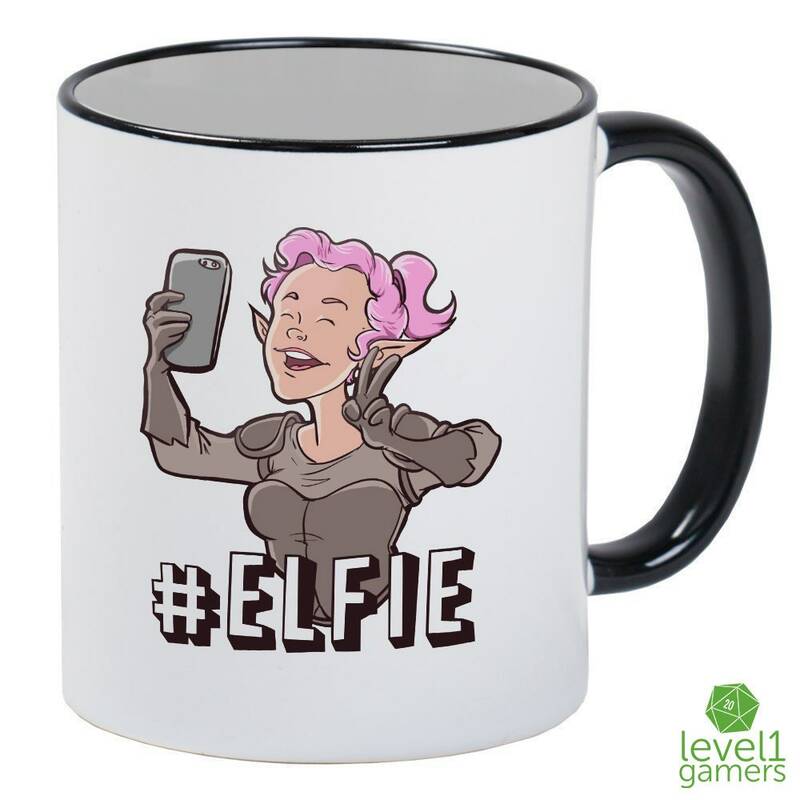 That's right, the #Elfie is all the rage among the High Elves, Woods Elves and Dark Elves! Fair Folk from all over are taking #Elfie picks in front of ancient ruins, magical haunted forests and just anywhere Fae can be found. No Elfie stick required when your friends with the Treants. Makes a great gift for your Dungeon Master and friends who are into D&D mugs. Each sleek Elven mug is white with black handle and interior. 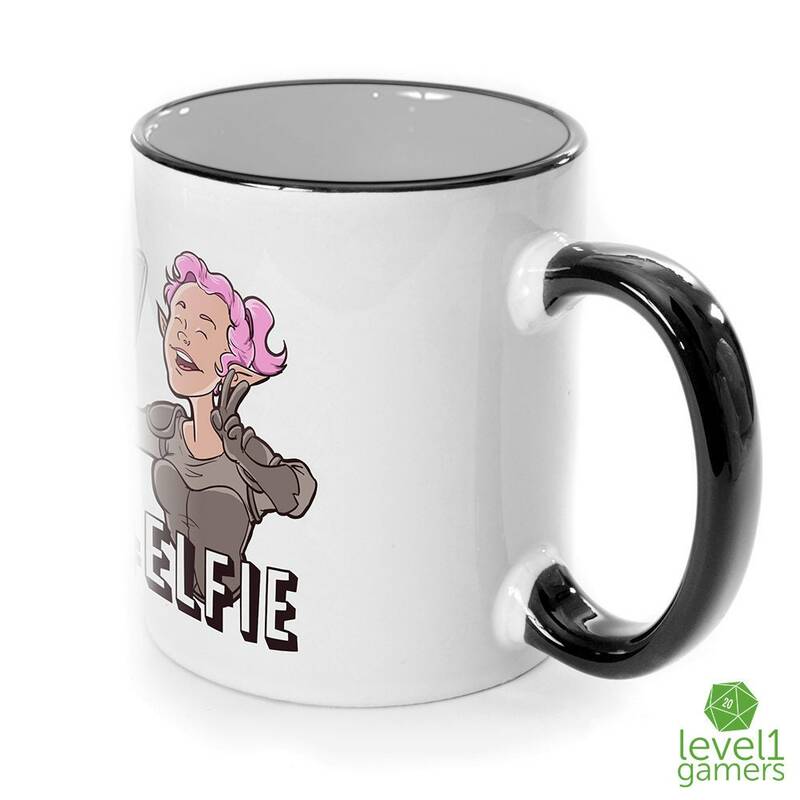 We hand press each one with high quality sublimation ink, which really makes the colors vibrant and dishwasher safe. So what are you waiting for? 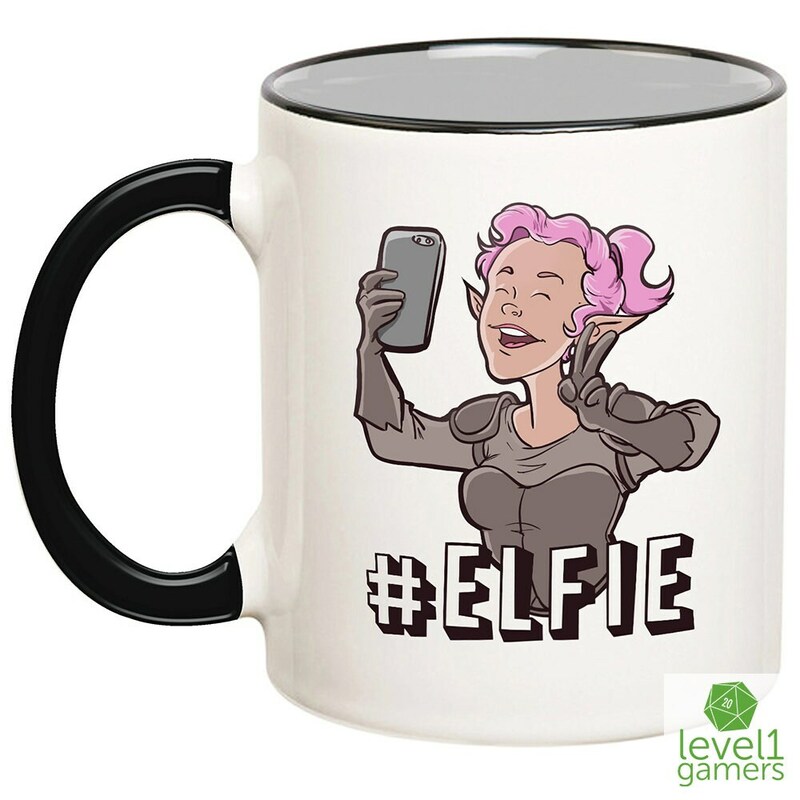 Take out your phone and take an #Elfie with your new awesome mug from Level1Gamers!